The Tata Indigo Diesel, launched in 2006, possesses features which distinguish it from the Tata Indica, unlike the earlier model (2002) which only seemed like a sedan-like version of the Indica. The diesel variant, naturally giving more mileage, provides greater value for money. It's interiors have a dual tone look for the fabric, and it has a manual gear system. Air conditioning and a CD audio system are part of its features. The car is one of the most popular ones in the country, and boasts of front power windows and adequate boot space. The car has, till now, undergone many upgrades since its launch, for the satisfaction of its customers. A car only runs well if it has a good battery to back up its power. To buy batteries that provide quality service at an affordable price, look no further than http://www.everyonechoice.com/. 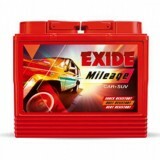 You will get a wide variety to choose from, including the well-reputed Exide batteries. All you have to do is click away, and the home delivery process will ensue, quickly and smoothly. Yes, you can save yourself from the hassles of shopping. We provide only the best, only the cheapest batteries. 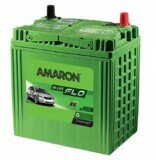 So buy Tata Indigo Diesel Car Battery Online from us. Tata Indigo Diesel Car Battery Prices in Delhi, India are also found with us.